At the conference you have plenty opportunity to meet colleagues, present and discuss your latest research or learn from them. The many workshops and presentations are great opportunities to interact with stakeholders like physicians, nurses, scientists, business developers, investors and others. Your presence and activities can be the basis for new research, for validation or for extension of your current line of research. Why join as a researcher? At the conference you will not only present your research to fellow scientists, but also to other major players in the healthcare sector, who are interested to use your results to improve and transform the sector. Make use of this unique opportunity to get valuable feedback and eventually have a genuine impact on healthcare! Game developers and healthcare professionals are constantly looking and searching for scientists who like to be partners in new projects. Together with them you can investigate and discuss new questions and developments. They need you to scientifically validate new, not drug related therapies or interventions involving serious/applied games. 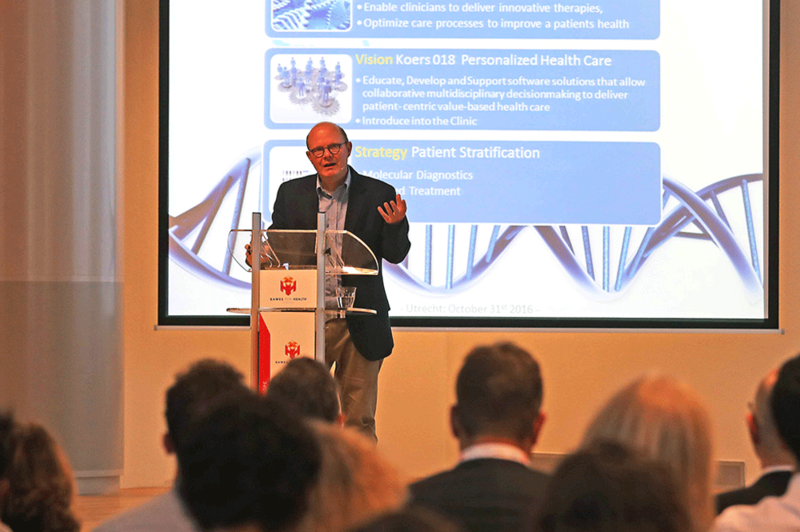 Through the many presentations, workshops and demonstrations you will learn about the latest developments in healthcare. Some of these developments will be scientific, others will be connected to their daily practice and will give you new perspectives on your own work. The conference provides plenty opportunity to meet game developers out of all windstreams. Find out what they have been up to. Learn about failures, problems with validation and get updated about exciting new technologies and approaches. Test the latest games yourselves and get home, inspired for new research into serious/applied games!